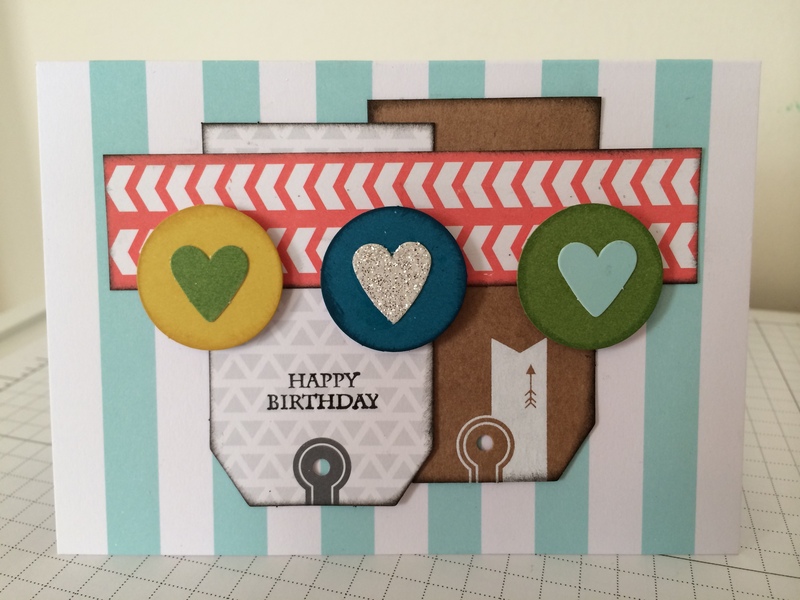 Just a cute and easy card using pieces from a card kit. After I’ve made some of the cards suggested in a kit, I find it fun to take the pieces and rearrange them until I find a layout of my own that I like. Of course I usually like to ink the edges of most pieces and sometime add dimenionals. I think the Coral layer was actually a band wrapped around the box or part of it’s contents. This card was made from Stampin’ Up’s Every Day Occasions Kit.